Sandra Gorie is Vice President of Marketing and Communications. She is responsible for the overall branding, leasing and communications for the Company and its departments. She joined Conifer in 2007. Ms. Gorie and her team translate Conifer’s business objectives into marketing opportunities through a multitude of platforms. Centered on the development and execution of increasing Conifer brand awareness, the objective is to assist with strategies to support all entities to achieve their individual goals that drive revenue. Her additional responsibilities include; participation in design plan review and upholding Conifer Standards; pre-development market research; meeting rent up unit absorption and tax credit delivery goals. Ms. Gorie is a member of Conifer’s Senior Leadership Team, a diverse team of experts who focus on establishing Conifer’s global strategic initiatives and creating a collaborative culture that encourages leaders to rise at every level of the Company. She is also a member of the Property Management Leadership Team. She was honored by her peers and the Conifer Executive Team in 2008 with the Conifer Emerald Award of Excellence. Prior to joining the team at Conifer, Ms. Gorie was a 22-year veteran of Equity Residential (EQR), a Real Estate Investment Trust based in Chicago, Illinois. At the time of her departure from EQR, she held the position of Vice President and Project Manager DC/VA for the Condominium Group where she directed the development of over 400 condominium conversion units. Her responsibilities included: the acquisition and conversion of two apartment communities; new market development, construction, operation and sales of the units; as well as, the capital improvements and management of both communities undergoing the conversion process. While at Equity Residential, Ms. Gorie held multiple positions encompassing all aspects of real estate management, including, operations, redevelopment, renovation, reposition marketing and leasing initiatives. She developed and implemented numerous large-scale strategic marketing / branding campaigns, leasing and resident retention programs, and recruitment and staff development programs. 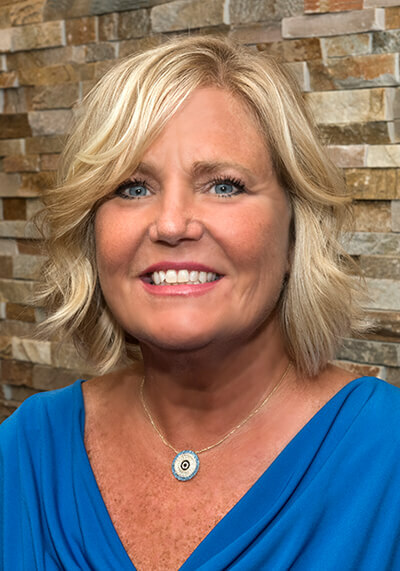 Ms. Gorie received her Bachelor of Arts Degree at the University of Dayton and earned her Certified Apartment Manager (CAM) from the National Apartment Association. She is a member of multiple multifamily and affordable housing associations as well as a member of the American Marketing Association and Public Relations Society of America.